Hey There! I know I’ve been a little quiet on the garden front this past month, life gets hectic sometimes. But now I’m here for a quick update! 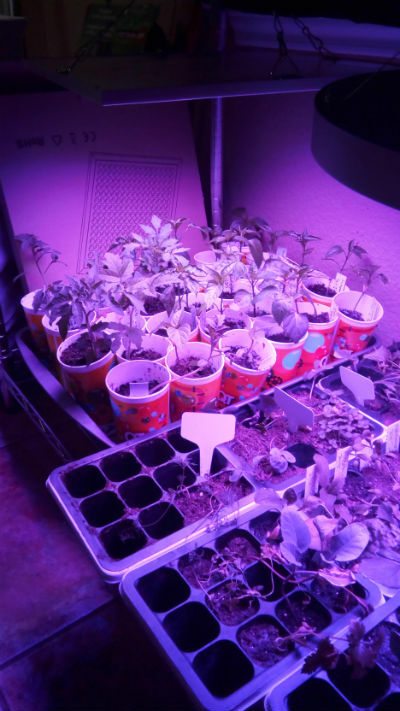 I added a second grow light to my seed starting area when I realized how leggy they would be if I didn’t. I feel like it’s just right now, and adjustable for the different stages the seedlings are in. 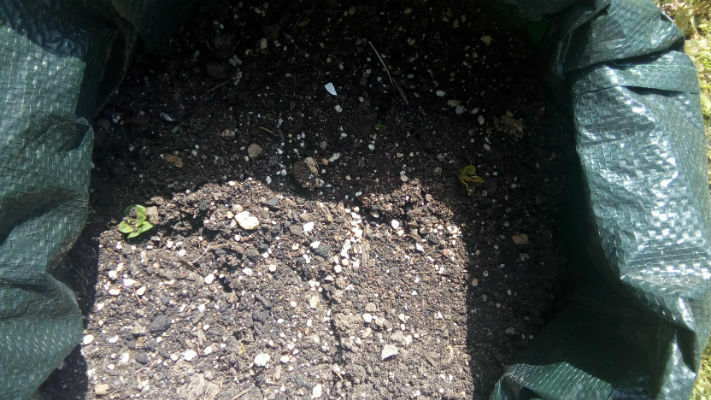 I have cleaned out several of my buckets and mixed some new soil and gotten them ready for planting! March 6 I planted greens into my large fabric container. These include kale, several kinds of lettuce, arugula, and spinach. 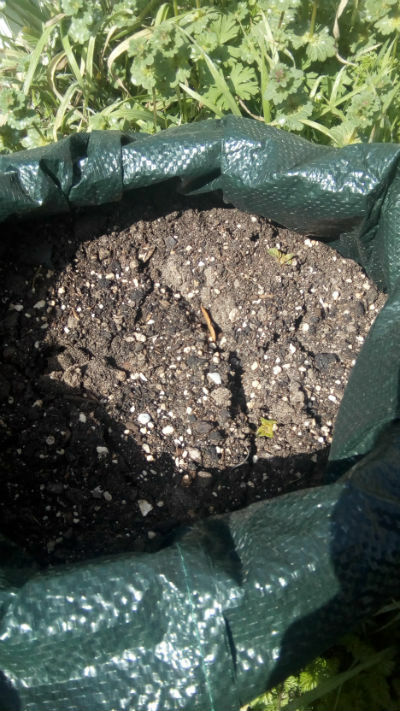 In the container is also a cauliflower seeding, a broccoli seedling, the yellow spanish onion seedlings, and carrots. Sugar Snap Peas also went into containers this weekend. I had planned on planting more cole crops and green arrow peas, but I decided to hold off on those for now. Large fabric bed (3 ft diameter) planted! I also had to move the larger seedlings (tomatoes, peppers) into larger containers, QT kids cups with holes in the bottom. There are several more that still need to be moved up. 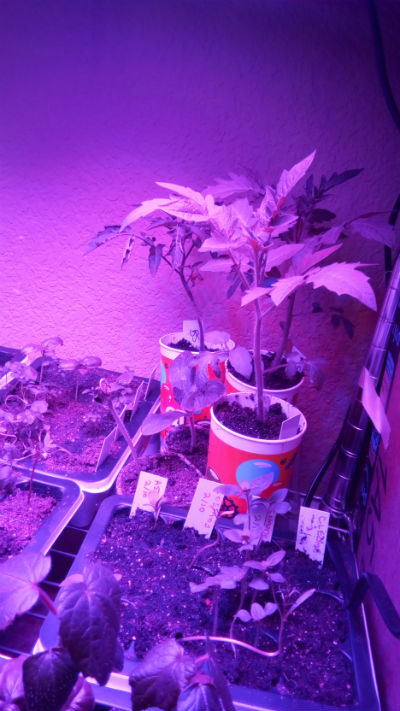 Pepper and tomato plants transferred into larger containers. Took these out from under the grow light for easy watering. Look how green they are! I think this jalapeno plant is ready to put out flowers! Eep! Very hard to see, but the potato leaves are starting to come through! Strawberries can’t wait for Spring either!